Short books make all the difference when you want to get through as many as possible, and this October I made it through 9, most of which right at the 300 page mark. I tried to maintain a solid mix of genres and fiction/nonfiction and discovered a number of good reads. 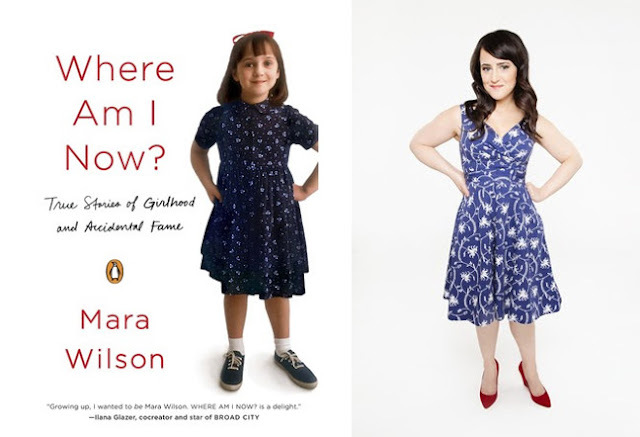 I never watched Wilson's movies - notably Maltilda and Mrs. Doubtfire - as a child but rather discovered her through her hilarious twitter account, and when she announced she was writing a book of personal essays I jumped at the chance to learn more about her. In typical celebrity memoir form, most of the chapters are dedicated to funny, sometimes awkward memories about movie sets and school classes, but as a former-child-actress-now-storyteller-comedian, she has the outside perspective of a "regular person" and seamlessly adds deeper content about her struggles with OCD and growing up as an all-too-relatable shy girl. Even as someone largely unfamiliar with Wilson's past work, I found it be one of the better celebrity books I've read. I never enjoyed Hemingway's works in high school so I don't know what possessed me to pick up another one on my last trip to the library, but it was a better read than I was anticipating. The Sun Also Rises centres around Jake Barnes and Lady Brett Ashley, two American expats in Paris who are thoroughly disillusioned with life after the WWI and travel to Spain with many other expat acquaintances to watch the bull fighting. 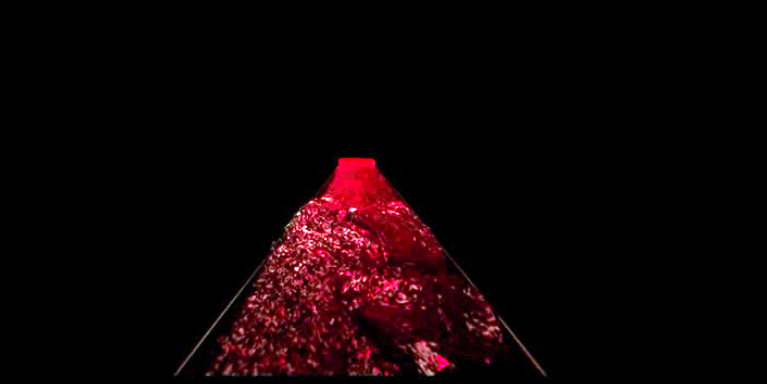 I felt like the content repeated itself with different settings and seemed listless, which I suppose was the intent but I didn't much enjoy that aspect of it. 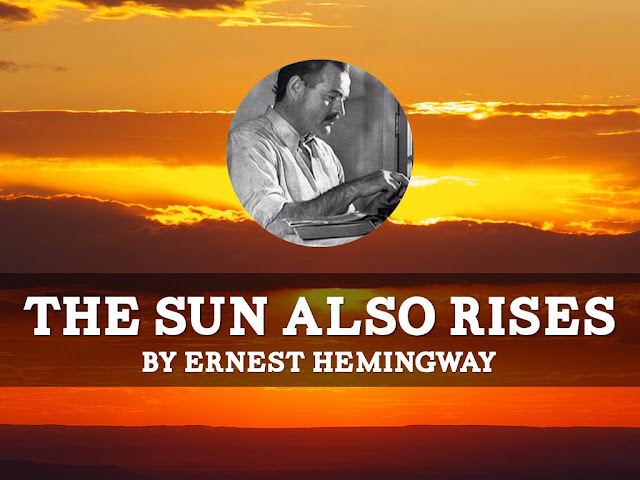 As a non-Hemingway fan, The Sun Also Rises was better than expected, and while I won't be rereading it anytime soon, it was worth a once-through. The last of Gaiman's selections of short stories I'd yet to read, M is for Magic is a collection, much like his others, full of stories of unexpected happenings. Very few in this volume were new to me as they'd also been published in many other places, but all the same, Gaiman's words are a joy to read as he combines horror and humour in an always unforeseen manner. 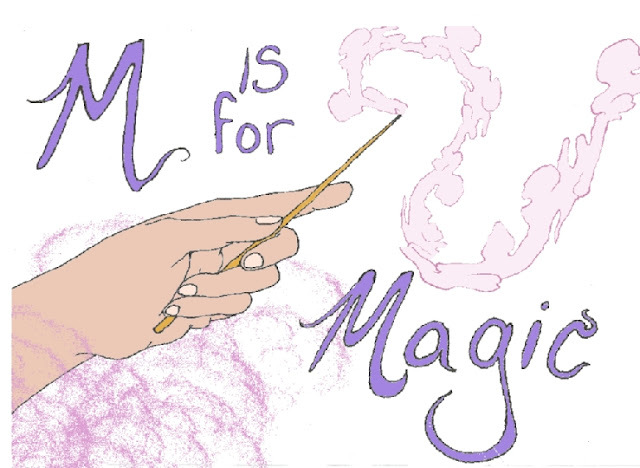 The Magicians has been credited as the Harry Potter for older readers, so I knew to lower my expectations before reading it (because let's be real, what can ever come close to Harry Potter?). 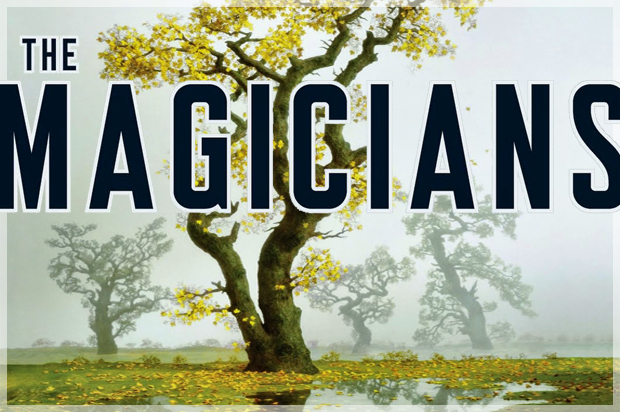 The Magicians follows a precocious high school senior named Quentin who suddenly finds himself accepted into a college of magic and must figure out how to handle his newfound abilities when a mysterious character threatens the school. I might have enjoyed the book more had there been more of a plotline - the introduction of a villain happens well into the second half of the book - and had the main character been more engaging, but instead the book crawled on with less-than-likeable characters, and thus I have no intention of reading the rest of the trilogy. Highsmith is often cited as a master of the psychological thriller, and as Strangers on a Train is perhaps her most popular - as well as her debut - I was eager to dive into it. 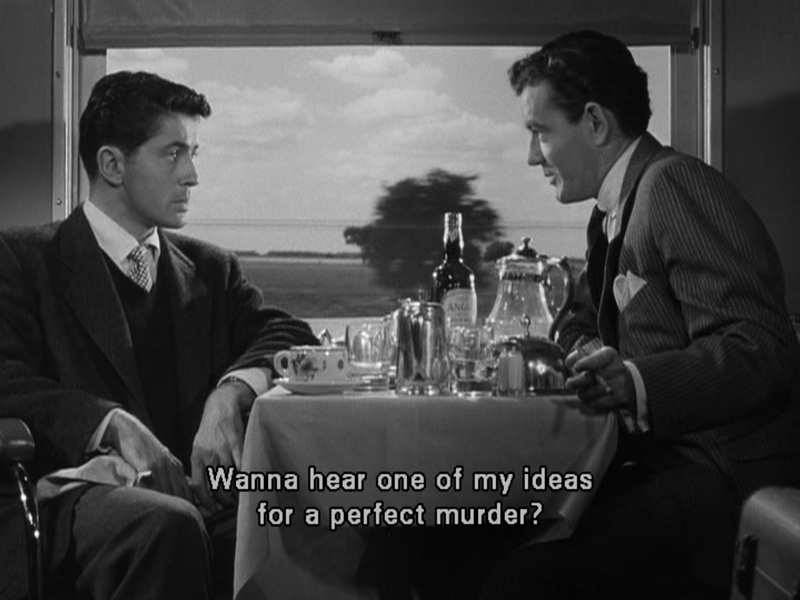 Her cautionary tale of the extraordinarily horrible acts ordinary people can commit is centred around Guy and Bruno, two strangers who meet on a train and commit murders for each other. As with many books of the 1940s era, it builds very slowly and takes its time introducing the plot and characters, yet after the first 50 or so pages the pace does not drop. Highsmith expertly manages to bring us into the mind of an ordinary person trapped within his circumstances to be capable of murder and the psychological toll such an act takes. After reading and loving Marjane Satrapi's The Complete Persepolis, I wanted to read more graphic novel memoirs and found my answer in Bechdel's Fun Home. Following her father's reveal of his sexual identity and later suicide, Bechdel traces her tense relationship with her father over her childhood/young adulthood as she attempts to discover what kind of man her father really was. It's story that translates well to the graphic novel format, as I felt it was very emotionally driven and thus the pictures served to share the emotions behind the words. I read James' 1898 gothic ghost story as a ~spooky~ Halloween read, and instead encountered a drama with unreliable narration and a mysterious question as to whether the ghosts were real or not. The story tells of a young governess for two children who discovers that the children are being haunted by ghosts from their past. However, the narrative style puts much of the emphasis on the power of suggestion, and James leaves it up to the reader to decide whether the ghosts are truly haunting the children or whether the governess is crazy. Michael Faber's debut is a slow-build of a sci-fi tale about a girl named Isserley who drives through the Scottish countryside picking up male hitchhikers for mysterious purposes. I saw the 2014 movie version of this story first and thought I knew what what going to happen, but the filmmakers took a very different approach to the book's contents and thus I often found myself surprised. Though at times the pace crawled on, it was an interesting pick, and I'm intrigued enough to read others of Faber's books in the future. Atwood's popular dystopian novel about a male-dominated world has been on my list for a long time but I've never made it all the way through until now. Set in what used to be the United States and is now under theocratic totalitarian rule, women are subjugated to intense surveillance and are not allowed to do ordinary things like hold jobs or read anymore. Many of the cultural elements Atwood uses to explain how the word came to be this way are very present in Western culture today, and while I don't think anything like this would happen, it is a disturbingly real to life story.